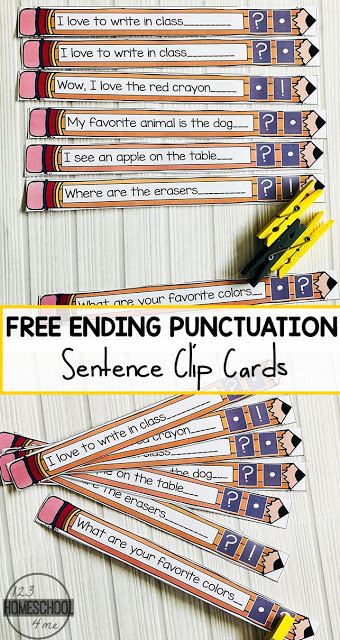 This super cute, free printable ending punctuation activity is pencil themed making it perfect for back to school. Kindergarten, first grade, and 2nd grade will have fun practicing adding punctuation to sentences. 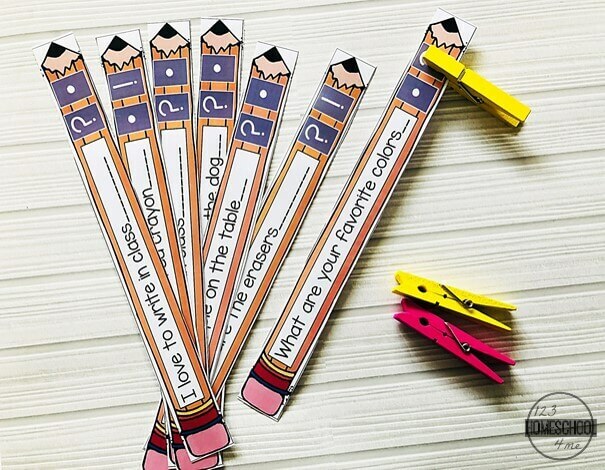 Print as many sets of these strips as you need for each group in your class. These can be worked on during literacy stations and in small groups. There are 14 strips and 7 editable blank strips for you to add your own sentences to the pack. Print and use a black permanent markers and laminate them before you cut them apart. Have the kids read the sentence carefully (one strip at a time). They will then identify if the sentence is a question, statement, exclamatory or command. They will then write the ending punctuation using a dry erase marker. Then clip the ending punctuation with a peg. As an extension activity, I get my students to copy those sentences in their books. This is completely optional but it does help them develop their writing skills too. 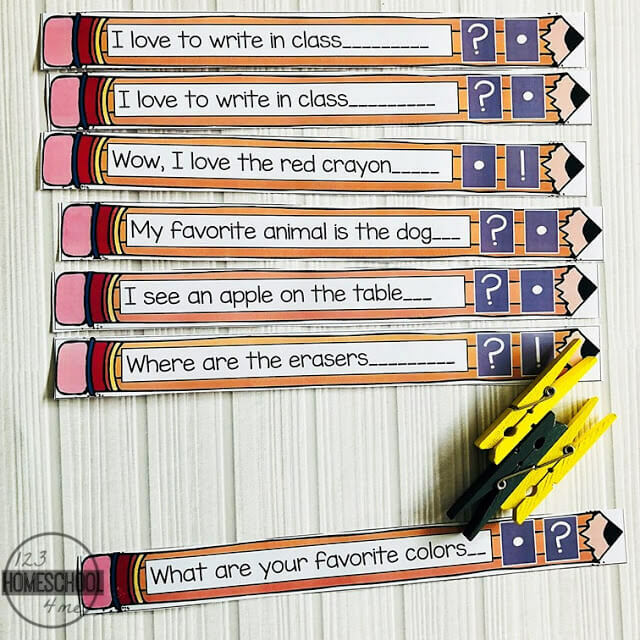 These strips can be differentiated, so you can definitely use the empty editable page and add your own sentences to make simpler or more complex sentences for your students depending on their ability. This is a great way to help kids practice and develop their grammar skills in a fun and engaging way. Do you ELL kids need more activities? My students always do! It’s essential that we provide them with plenty of ways to practice their grammar skills for improved language development.